Thanks to continuous development and improvement, we have long been one of the leading suppliers of electronic pedals. We are also the global leader in 24 GHz radar sensors, which are used in lane change assistants and other features. Our rock-solid technological position is also reflected in our many new energy management product solutions. HELLA enjoys a uniquely favorable technical position, since both the lighting and electronics segments are combined under one roof. Another of our strengths is our outstanding aftermarket expertise; to name just one highlight, we operate one of the largest aftermarket organizations for vehicle parts, accessories, diagnostics and services. Light is essential to both seeing and being seen. Since vehicle lighting is so important to the safety of everyone on the road, HELLA develops innovative lighting systems that offer a high level of driving comfort while also providing optimum illumination of the road ahead. But that’s not all: Design is also an increasingly important factor. This is where LEDs truly come into their own, as they allow a whole new approach to vehicle design, enabling designers to create of brand-specific styles. Fifty percent of all drivers feel stressed in poor visibility conditions. The strain eases if the road ahead is well lit; good lighting is the best night vision system. Ever since cars were invented, HELLA has been setting innovation milestones and pursuing a forward-looking approach to lighting products and systems. We focus on enhancing both driving comfort and safety, plus the attractive design of HELLA lighting products lets manufacturers achieve specific vehicle designs and positioning strategies. 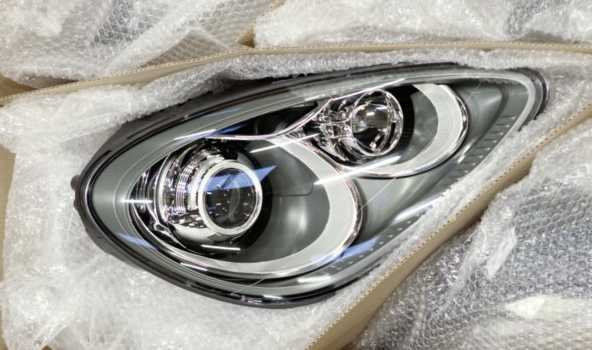 These days, LEDs are key: Not only are they taking the automotive industry by storm due to their energy-saving potential, they also offer a level of design versatility that is crucial to developing a vehicle’s typical appearance. For combination rear lamps especially, manufacturers are exploring the many options available when LEDs are combined with optical systems, creating attractive and distinctive vehicle designs. LEDs are becoming more and more popular as light sources in the field of interior lighting, as in other sectors. Already a long-established fixture of the instrument panel, these lights can now also be used for interior lighting and reading lamps, thanks to steady gains in the power and versatility of white and colored LEDs – which also offer low power consumption compared to filament bulbs. This opens up a whole range of decorative design possibilities for the cockpit in addition to the functional lighting aspect. The product group of small lamps combines all products of the exterior vehicle lighting, except headlamps and rear combination lamps. So, HELLA offers a comprehensive portfolio of fog lamps, daytime running lights and front combination lamps. Rear fog lights, center high mounted stop lamps, additional turn indicators, rear signal lamps and license plate lamps belong to this product group, too. HELLA produces small lamps with LED light source for more than 20 years, starting with the first center high mounted stop lamp in 1993.